Our Canadian correspondent, Sanj, sends us this ad for ezdivorce, a company that specializes in, as the name indicates, divorces. 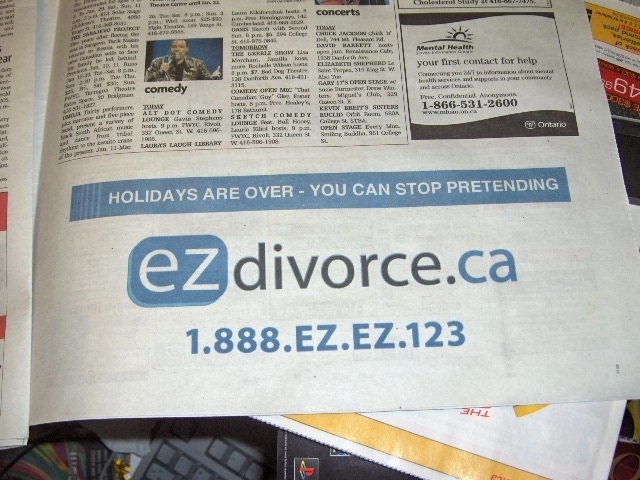 The ad, which appeared in the Toronto Metro paper, carries the ingenious headline, "Holidays Are Over - You Can Stop Pretending Now," giving nod to the perpetual postponement of all thing painful during the Holiday season. Simple. 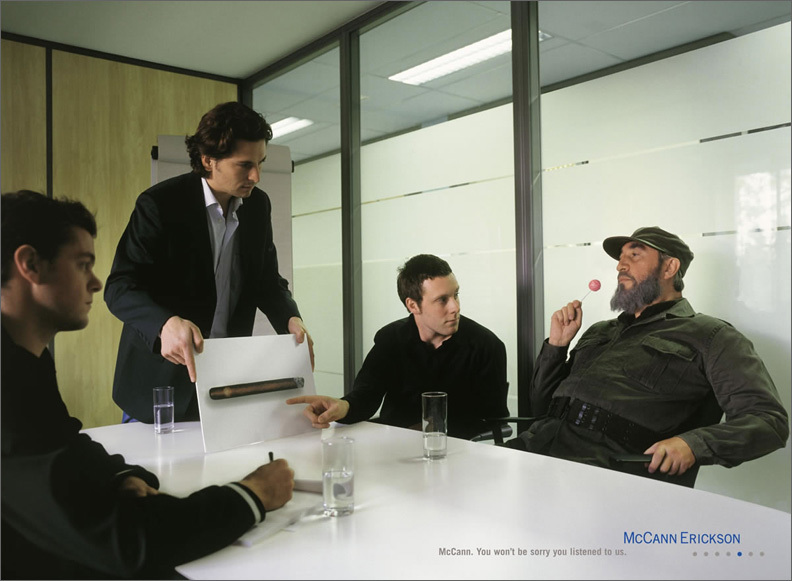 Witty. We like.